One of the most populous countries in the world, China is home to a myriad of impressive landmarks. China has magnificent places that will make you gasp in awe. Here are ten of these spots. Known as “the Roof of the World”, Lhasa Tibet is a great destination that is enjoyed by tourists from all over the world. Considered to be the political and cultural centre of Tibet, the area is rich with monasteries, temples and exotic customs. If you are looking for a romantic destination to enjoy with your special someone, a cruise on the Yangtze River is a great idea. The third largest river in the world, it stretches for 6300km and has numerous magnificent views. Situated in the Central-Eastern part of China, Shanghai is ideal for easy travel with its two airports-one domestic and one international. Some of the sights to put on your list include the Shanghai Oriental Pearl TV Tower, Yuyuan Garden and Shanghai Museum. Shanghai is the largest metropolitan area in China. No visit to China will be complete without a stop at its majestic capital, Beijing. The Forbidden City, Temple of Heaven, Summer Palace and the Great Wall are some of the main attractions in Beijing. The capital is indeed the heart of the nation. For the nature enthusiasts, Guilin is perfect a perfect place to visit. Green hills, pristine waters, extraordinary caves are all included in a one day visit to Guilin. The Hui Miao ethnic minorities that inhabit the area come in addition to the incredible spectacle offered by the untouched nature. A historic place of 1,300 years, Lijiang is listed as UNESCO’s World Cultural Heritage and is located on a plateau at 2,600m above sea level. Rich with natural scenery and extremely green, this is another must-see place. Music enthusiasts will also love the classical Naxi music that has a long history with the native Naxi people. 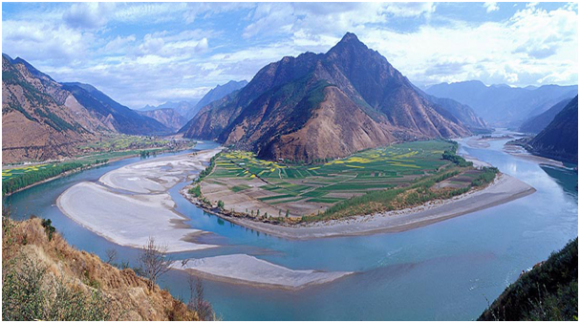 The world famous Wulingyuan Scenic area is another destination on the UNESCO’s list. The three sections that divide the area- Zhangjiajie National Forest Park; Tianzi Mountain and Suoxi Valley. The area is also noted for its quartzite sandstone pillars. The Silk Road that connected the east bank of the Mediterranean Sea and Eastern Europe is another historically rich destination with over 2,000 years of history. This road is one of the world’s most historically important trade routes that exercised a great influence on the culture of China, and the West.